For the last year I have been ordering cameras from the internet without knowing if they would work. 95% of the time they do. And when they don’t it's usually an easy fix. Sometimes, not so much and I destroy a $250 camera learning to fix it. Usually what happens is that I break something else while trying to fix the actual problem. 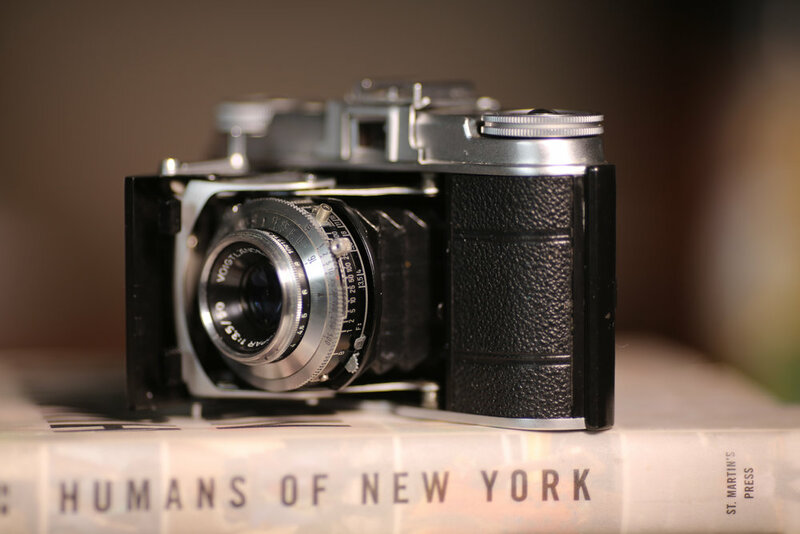 The Voigtlander Vito ii is an old camera. Maybe not my oldest, but my first folding camera! The problem with folding cameras, is that due to age, the accordion portion of the camera is prone to light leaks etc. Maybe I’ve just been lucky ordering cameras in unknown working condition, but these days I just have faith they will work. I wasn’t wrong! I spent exactly $50 after shipping on this little guy, which is no small amount but wouldn't have been the end of the world if it didn't work. The $1,000 Leica M3 I recently got would have been another story- Dont worry, that worked too! First made in 1949 as a follow up to the OG Vito. I know it was produced for several years and had several variations. I tried to figure out which year mine was produced in until I realized I don’t really care. But I do know this, it has an accessory shoe so it's a later model. But I don’t know if its by design or if its detachable (I haven’t wanted to try). Update: its easily detachable, but it looks like a shoestring production. I mean the shoe covers the damn logo! Important to note: the accessory shoe is just that. It is not a hot shoe and does not communicate with the camera. I also know that there were two models: one with 4 shutters speeds and one with 8. But mine has 9? Maybe it's my dementia but I can't make sense of it. There is a standard looking button on the bottom of the camera that needs to be depressed to open it. Less obvious are two little tabs on the inside of the door that need to be pressed before closing the camera. 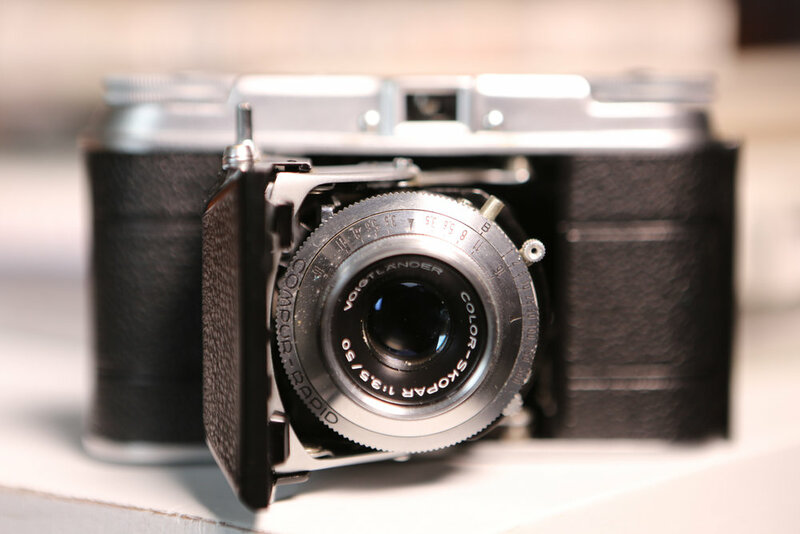 Aperture and shutter are set right on the lens in addition to a shutter tensioning lever, which must be wound prior to taking a photograph. The camera uses zone focussing. It is not an SLR or a rangefinder. You basically approximate your distance and set it on the focussing ring denoted at 3.5 ft and in increments up to 60 ft before infinity. Oh, and there's also a triangle between 10 and 12 feet and a circle before 60ft. Voigtlander suggests you set your distance on the triangle for anything closer than 16ft and the O anywhere above. But honestly this is just a feature for people that don't use their brains too good. I never had a problem guessing distance. But I will say I embraced the challenge and quirks of using this camera and shot mostly at f16 to ensure a good amount of depth. When I did miss my focus it was experimenting with a more shallow depth of field at a closer focussing distance in which guessing by a foot or so off would make a bigger difference. I really love this camera. It’s a great camera just to have for decoration to be honest. It looks that great. If a Leica is a 10 and a Holga is a 1, I’d say the Vito ii is about an 8, maybe even 8.5. My copy is in great condition. It actually looks as if it were never really used. A bit of the leather was starting to separate from the body, but some glue did the trick. But with the Vito, when the lens is retracted into the body its mostly flush. In fact, most of the cameras components are streamlined into the body. Because of this the Vito slides right into my pocket and I don’t have to worry about the lens getting scraped. Nor do I have to worry about accidentally setting off the shutter release. So usually I would go ahead and wind the camera and set the shutter tension before closing it up. This way, when I was ready to take a shot the camera was ready to go once opening it up. This can be more important than you’d think since having to shift the tension lever before you can trigger the shutter ads an extra step which can make a difference when wanting to quickly grab a shot. Operating the camera took some getting used to. Because the shutter speeds, aperture, and of course focussing scale are located on the lens, you need to reposition the camera to see your settings. It took me a few rolls to not constantly forget to wind the tension lever. But eventually It came naturally and I realized it made sense to always have the camera ready to go and started doing all that before closing it. I have so much fun shooting with anything that gives me a novel experience. I especially enjoy the challenge and the process of getting used to shooting differently. The vito checked those boxes. But if this were my only camera, I would definitely prefer a rangefinder. I’m fine with scale focussing, but the viewfinder proved to throw my composition off quite a bit. In fact it straight ruined a few shots, cutting my subject off. 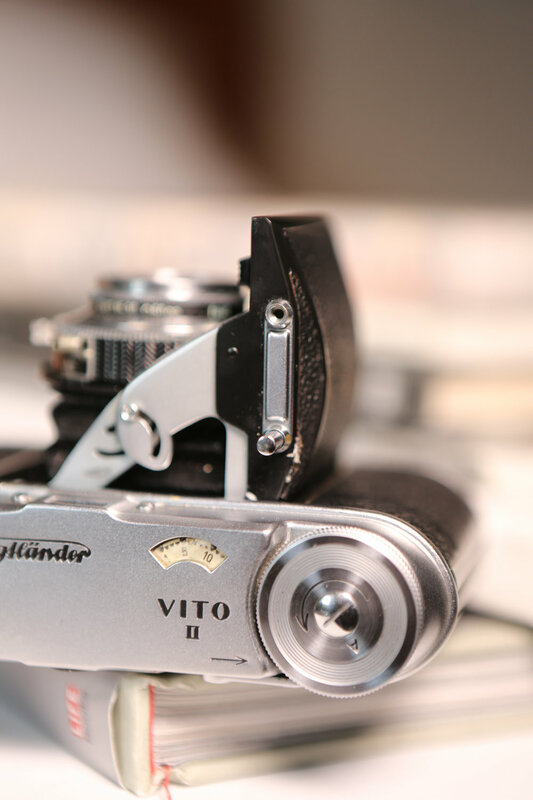 Should You Buy The Voigtlander Vito ii? If it's going to be your only shooter, no. You may have trouble using scale focussing and the viewfinder (AKA a hole in the camera) is not going to be the most effective way to frame your shots. However, if you are like me and you enjoy using different cameras with different quirks, then yes, buy this camera! I think I paid a pretty decent price for this camera considering its condition. It feels practically new. A camera twice my age and it still looks new! I could probably sell it and make a few bucks in fact, but I really love this guy and I’m pretty sure I will be keeping it. After fully testing it I still loaded another roll of film because I knew I wanted to keep shooting with it. I still have not developed my color film shot with the Vito ii, but here are a few black and white images I shot at the dog beach. Dogs. Hell yeah.